It's Release Day here at Paper Made Bakery and we're showing off our brand new kit called PORTOBELLO ROAD. It features lots of shabby chic, vintage images and products from the new Pink Paislee line called "London Market". I've been to the very famous Portobello Road in London and was mesmerized by the beautiful antiques and treasures on offer! 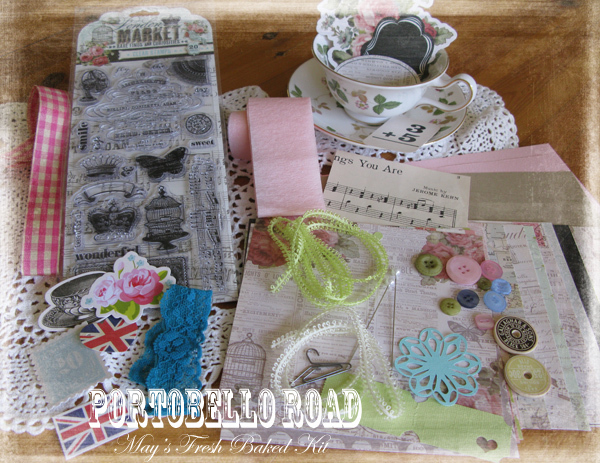 We put together this kit with a very vintage flair -- there's authentic antique sheet music and lace, along with lots of fun shabby chic ephemera, PMB Custom Cuts, and loads of goodies to make sweet Mother's Day cards, birthday cards or even an altered home decor piece for someone special! And, every party needs a gift, so we've put together a BIG shabby-licious Paper Made Bakery Goody Bag (worth over $50) for one TWO special blog hopperS! We're trying out Rafflecopter this month, so if you haven't used this fun widget before, you're going to love how easy it is to enter our giveaway! This is my first time using it here for our own giveaway, so let us know if you have any issues or questions by clicking our CONTACT US button above. 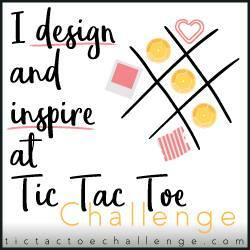 *Commenting on this post has been disabled so there's no confusion about entries.